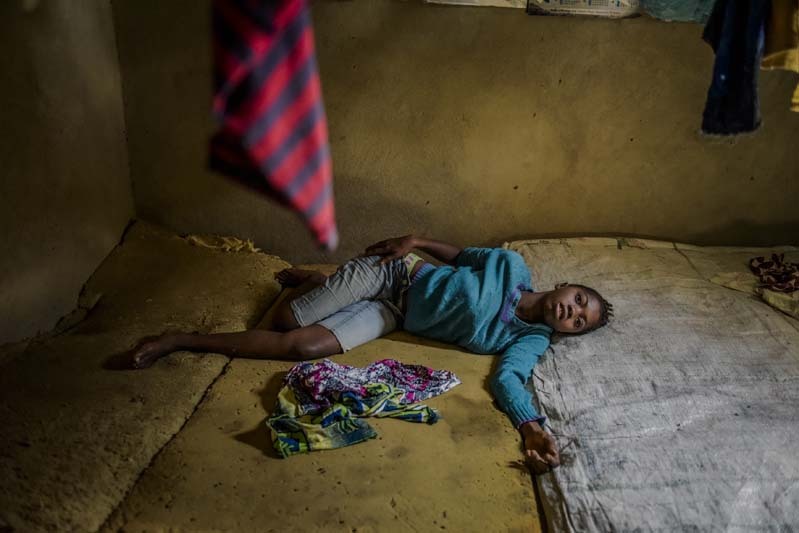 FREETOWN, SIERRA LEONE - NOVEMBER 21: Isatu Sesay, 16, suffering from symptoms of Ebola rolls around delirious and in pain, as she lays on a foam mattress 3 hours before her death on November 21, 2014 in the community of Kissi Town in Freetown, Sierra Leone. Isatu’s family suspected Ebola, which had wiped out more than 100 people in her area in a recent outbreak. They immediately called for ambulance. And again. And again. More than 35 times over three days, community volunteers said, from a village less than 45 minutes from the heart of the capital, Freetown, where a new Ebola command center is staffed by the Sierra Leonian army, the British military and foreign experts.